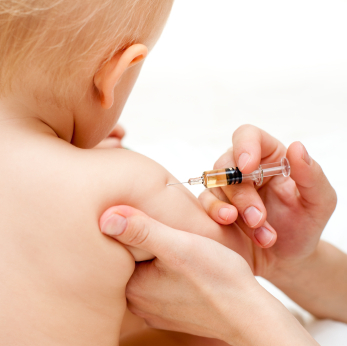 A new groundbreaking study published this month in the journal Immunity contradicts the basis for the use of vaccinations. The current theory is that your body must produce antibodies to a virus in order to fight a viral infection. Hence the need for vaccinations that trigger a portion of your immune system, the adaptive response, to produce necessary antibodies that will fight the virus if you are exposed. Now we are learning that the innate immune response, that does not require antibodies to a particular virus to fight, is effective in fighting viral infections. This portion of the immune system uses macrophages and interferons to effectively prevent fatal viral infections. Just prior to coming across this new research, I had listened to a continuing medical education seminar on Autism treatments where a pharmacist outright stated that we should simply stop conducting any research into the link between Autism and vaccines because there is none. In light of this new information, that questions the very basis of vaccines, and begins the exploration into other means of preventing fatal viral infections, we should certainly be investigating the effects of vaccinations on our children and newborns, and whether the risks actually outweigh the benefit. This is the most hope I have seen regarding the vaccine controversy. We have other options for viral protection, involving stimulation and strengthening of the body’s innate immune response, rather then its adaptive response. Breastfeeding, homeopathic preparations, and nutritional interventions all play a role in the innate response, that will likely gain more attention in the years to come. That is good news for those physicians and parents concerned about the damaging effects of vaccines on our children. This entry was posted on Wednesday, March 28th, 2012 at 2:59 pm and is filed under Autism, Autism and Mercury, Immune Support, Industry News. You can follow any responses to this entry through the RSS 2.0 feed. You can leave a response, or trackback from your own site. Great post Dr Cushman, Its about time science discovered the reason why only a minor % of the human population died during every major epidemic. If we had no innate natural ability to fight off viruses, then why did only 30% of the population die during the black death in the 1300’s and not 100%? It still being the world’s largest, most horrific epidemic but still, 70% of the population survived and became immune to Yersinia. It’s only common sense that proper lifestyle and diet, with the help of appropriate supplements, is your best immunization against viral infections.